As you may have noticed, spying technology is getting quite advanced and now even a regular user has the ability to spy on people. However, nobody seems to care about this problem – even the whistleblowers who risked their lives to let people know that they’re being spied on have been ignored by almost everyone. People are busy with their social networks and quite frankly, they have stopped caring about their privacy, but this does not mean that the advancement and increase in usage of spying technology should be allowed to go on unchecked. App developers are the ones getting most out of growing prevalence of spying technology. 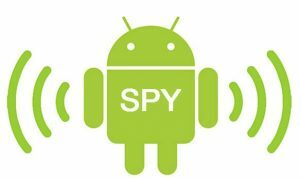 A large number of phone spy apps have made their way to different platforms and they are being used worldwide. Employers are using these apps to keep an eye on their employees, spouses are using them to keep tabs on their partners, and parents are using it to fix a spotlight on their kids. There may be some people who would be making right use of these apps, but this does not mean that phone spy apps should be available for everyone. It creates a distrusting environment and the word privacy completely goes out of the window. Higher authorities should look into this matter before it gets out of hands because if does spread, then everyone would have a spy app installed on their phone, which is not the future anyone of us would feel comfortable living in. Developers are least of our worries at the moment as the hackers have started to become a huge threat for the general public. Just in the last few months, they managed to sneak into a couple of big corporations, a dating site, and even managed to breach a security agency. In the said attacks, hackers got their hands on the personal information of a lot of people, which is never a good sign. You don’t want anyone to see vital and sensitive information about you such as your nudes or banking details. Also, you don’t want anyone to know about your weird quirks and interests in things such as yonieggs. However, if you think these attacks were only restricted to corporations, then you’re mistaken. Breaching security is not the only thing hackers are good at, as they are always working on a malware that would allow them to sneak into regular users’ devices without them noticing anything out of the ordinary. The worst part about all the hacking incidents is that the hackers were never caught, which means that they have learned to cover their tracks well. This has created an incredibly alarming situation for some of the users as they are now afraid of saving any personal information about themselves on their smartphone. Malware are a curse and once they make their way into your device, it’s quite difficult to get them out. However, a group of certain individuals is working on a Trojan which is claimed to stay undetected by all anti-malware. This new Trojan is called JSocket. According to developers, it will hide itself in any normal looking app, which will continue to work like normal, hence there would be no way for the users to find out if there’s anything wrong. If authorities do not take notice of JSocket at this early stage, it could prove to be a huge trouble for the general public when it is finally unleashed.